Yassi Pressman has been ranked among the country's most sought-after leading ladies of this generation. In fact, her latest television project lists her as the main characters lady love, a role that propelled the 22-year-old actress into ultimate stardom. However, many people do not realize that Yassi has been in the showbiz industry for more than a decade, and that her path to success hasn't always been a walk through the park. The Filipino-British beauty says, "Marami akong naging pagsubok sa showbiz. Hang beses na din akong hindi natanggap sa mga audition, pero tuloy tang ang laban. Sabi ko nga sa sarili ko, don't try to rush things that need time to grow. With hard work, dadating ang para sa iyo sa tamang panahon kasi kapag minamadali, nagkakamali." Silka Papaya Soap, the number one beauty soap in the Philippines. Packed with papaya enzymes for exfoliation and Vitamin E for moisturizing, Silka Papaya Soap gives Yassi naturally beautiful skin. The TRUE SECRET to her glow! "Yassi's career demands her to be always at her best and to maintain a healthy, glowing skin. With Silka Papaya Soap, we make sure to take care of Yassi's skin in an everyday basis. There are no instant solutions because beauty is an everyday regimen. 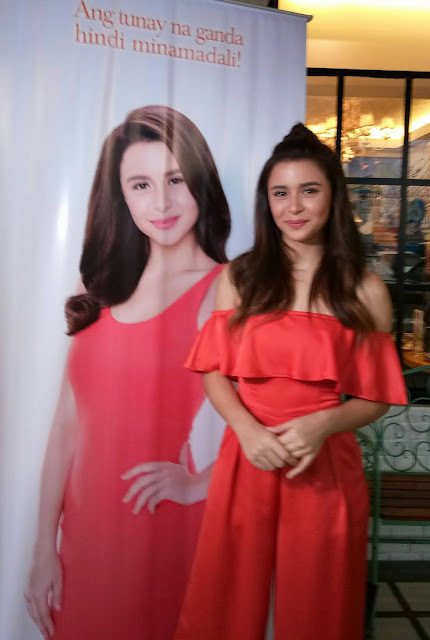 This is paralleled with the success story of Yassi and that's what makes her an inspiration to all the women who aspire to be like her," says Jane Co, Silka's Marketing Manager. As we all can see, Yassi is now at the peak of her acting career, Yassi spends an average of 8 hours in a shoot and sits in the hair and make-up chair for around 3 hours. With barely enough time to sleep and rest, Yassi is able to maintain a healthy, bright and beautiful skin. Only with SILKA! In the age of everything Instant.'' Yassi is truly an example of grace, beauty and diligence. She knows that natural beauty is not rushed and more importantly, success is not something to be achieved overnight. And at the rate Yassi is going, it seems like this go-getter is not stopping anytime soon. What is your Silka "Nagmadali Nagkamali" story?